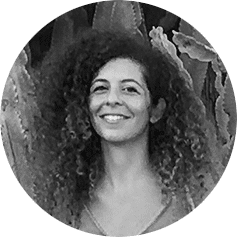 Lana Awad is a Jordanian architect and researcher specializing in digital fabrication in Architecture. She holds a Bachelor’s degree of Architecture from the American University of Sharjah (UAE, 2010) and a Master Degree in Advanced Architecture from IAAC (Spain, 2013), specializing in digital fabrication and large-scale additive manufacturing in architecture. Additionally, she also completed the Fab Academy programme and was selected to complete her research through the Fab Thesis programme. Her work since has focused strongly on digital fabrication within social studies and political contexts. She was the Creative Director for Refugee Open Ware, a global innovation consortium aimed at employing advanced technology for the advancement of human rights in conflict zones. After which she became Project Manager for Atta33, a digital fabrication laboratory and co-making workshop in Poblenou. Her personal projects range from conceptual VR projects on identity and empathy (The Machine to be Another) to designing 3D printed prosthetics for Syrian refugees. More recently she has been collaborating with several architecture offices including External Reference Architects, Cloud9, and Built by Associating Design.